This is the image you can recover from the ransomed file I published in my last diary entry. Bytes before 0x1000 look random, while we see some patterns appearing after 0x1000. To recover the image, just create a new file with this JPEG header and append all bytes from the ransomed file starting at the FFDB marker (position 0x1000). What is this image? 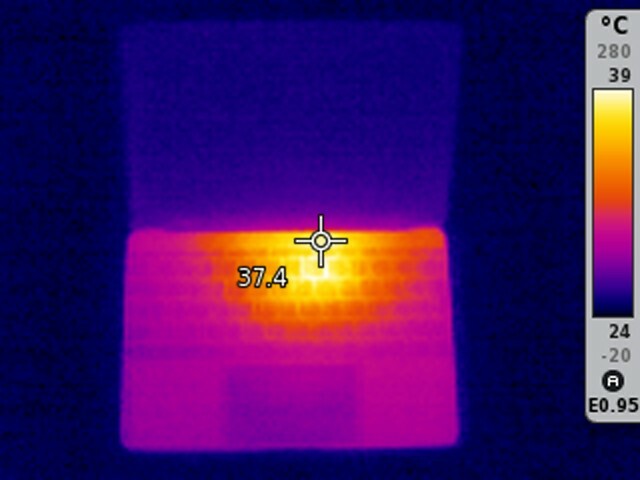 Its a thermal image of my MacBook 12 with the processor running hot. The processor is located where you see the yellow/orange spot. The color indicates its around 39C. Thats around 312K and 102F.